2015 Condo market in the rearview mirror! If you invested money in real estate in 2015 you are a pretty happy person today! 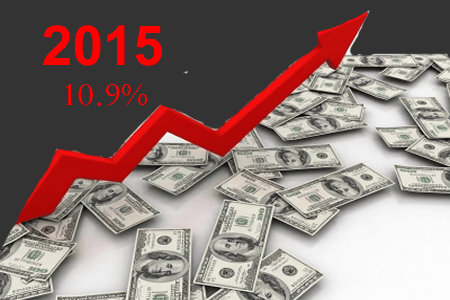 With the stock markets getting pummeled to start 2016, is real estate the place to be again in 2016? I think the answer is a strong YES! Before we talk about 2016, let’s review the year we just had. The real estate market in 2015 had an interesting year. In Portland, we were one of the leaders in the nation for appreciation rising 10.9% (we were #1 in October) We were tied for the lead with San Francisco and Denver with Dallas and Seattle close behind. What lead to this appreciation in Portland? Easy answer…lots of demand and no supply! Yes this is a very Econ. 101 answer but it is totally the reason. Portland lags the nation in new construction yet it is a very desirable city that continues to attract people here from all over the country. In the condominium market we had the first new construction in years, The Cosmopolitan. If you have been reading my blog all year you know that I was very wrong in regards to the pricing of The Cosmopolitan. I originally thought the prices were very excessive, trying to capture a price per square foot that was higher than new developments in Seattle. Well, The Cosmopolitan is now 92% sold out. How did they get these prices? Easy answer here…there was very low inventory for most of the year. As we begin the new year, we are still in a very low inventory situation. The condos that are on the market are still there for a reason, they are overpriced! In order for existing inventory to sell, there must be price drops so keep your eyes on units that will have to drop prices in order to sell. As we move forward in 2016 many people worry that we may be heading towards a bubble in real estate. Let’s look at that a little closer. If we did have a bubble burst, those paying the high prices at the Cosmopolitan will get crushed before they even take ownership of their units. Not to worry Cosmo buyers… I think 2016 will be a very good year again for real estate appreciation. The reason I believe this is two pronged. First, inventory levels will remain relatively low as we begin 2016. Again, supply and demand will come into play. I was wrong in my prediction of The Cosmopolitan because nobody had any idea we would have such low inventory levels for the entire year of 2015. This could happen again in 2016. There is talk about a new condo building going up on block 20 in the Pearl, but completion for that building is way out and will not ease demand issues in 2016. The second prong I see making an impact on real estate is the stock market. It has not started 2016 on a strong note. The Chinese market is off 7% today as I write and it triggered circuit breakers to close their market trading and bringing our market down nearly 300 points on the DOW. Tomorrow could be much worse! When we see more uncertainty in the stock markets we often see the flight to quality to government bonds and real estate. People do have a certain comfort level with real estate as an investment and as time has shown, it has proven to be a very good investment. As we look in the rearview mirror at 2015 I believe that the year ahead could deliver much of the same. We may begin to see more listings come on the market as people are no longer underwater and starting to see some gains on their equity. If you are a condo owner and thinking about selling your unit, here are a couple things to think about. 1) In a seller’s market you may think that you could have any agent list your condo and it will sell. Well this is partially true. Any agent can sell your condo…but at what price? 2) Pricing in this market is important. A good agent will push the price but also knows there is a fine line between pushing the price high and being overpriced. You don’t want to be like the listings that were still on the market to end 2015. These listings risk being sold at prices that are lower than where they should be because they become stale on the market and begin to get many lowball offers!